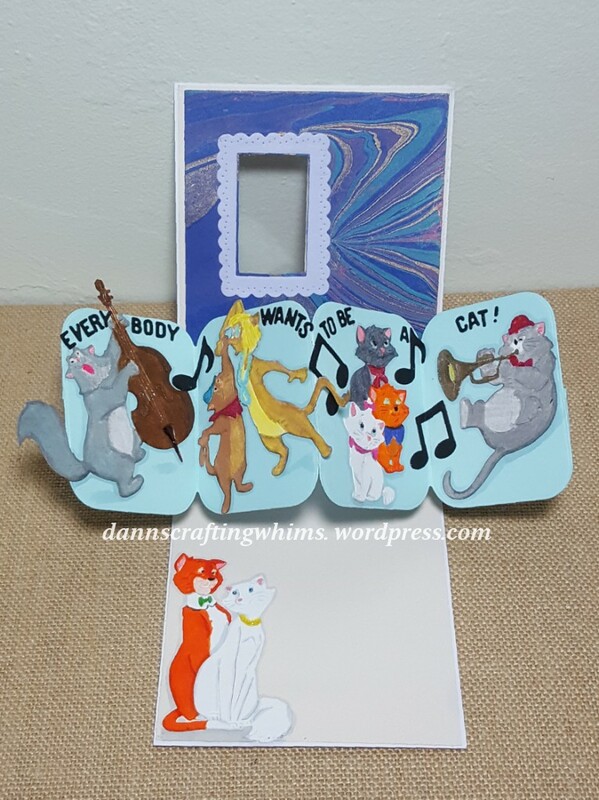 This entry was posted in Cards, Papercraft, Year in Review and tagged ArtImpressions, Spellbinders by dannscraftingwhims. Bookmark the permalink. Congratulations on your well deserved success, D.Ann! 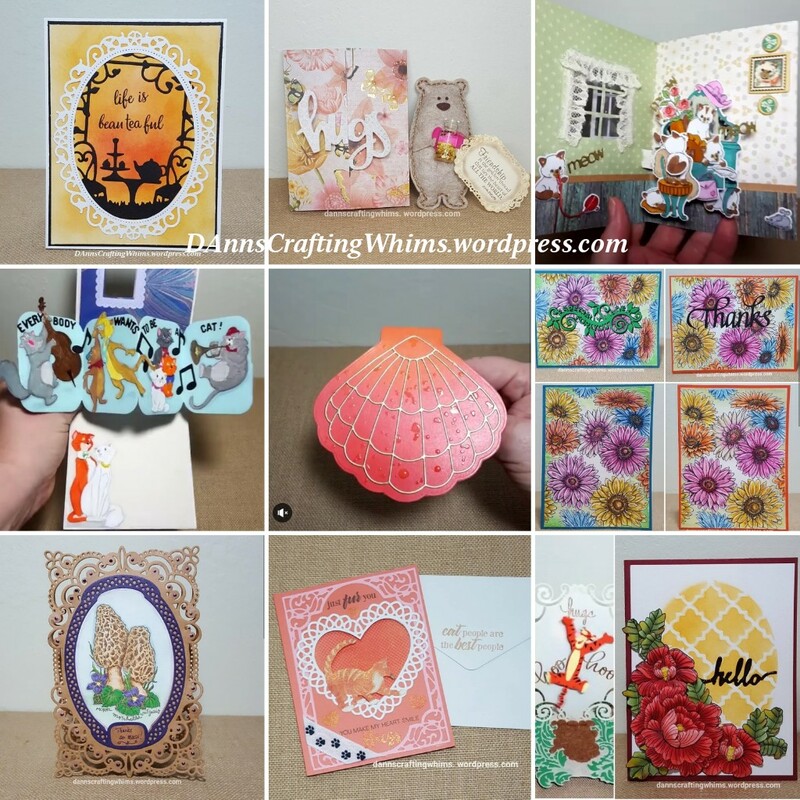 I enjoyed seeing these cards and projects again! Wishing you many blessings in 2019! Thanks for sharing all those wonderful projects and I hope you have a wonderful 2019. Thanks for doing a year end post. I started following you during the Cat Lover’s Hop and your cards are just lovely. Have a happy and healthy New Year. Ooh, I recognize almost all of those cards, especially the cat ones and the 3-D designs. I admire your expertise with 3-D cards, and willingness to tackle a variety of techniques and projects, as I’m pretty much all thumbs when it comes to unusual folds or new products. Some of my favorites are the cat projects, but I also LOVED that beautiful pink shell. Thanks for always making me smile.